Our mind, brain and bodies are a complex interactive system. While it is the job of family physicians, psychologists and frontline responders in mental health to try and stabilize people with mood disorders (i.e. through drugs), it doesn’t really get to the full picture. 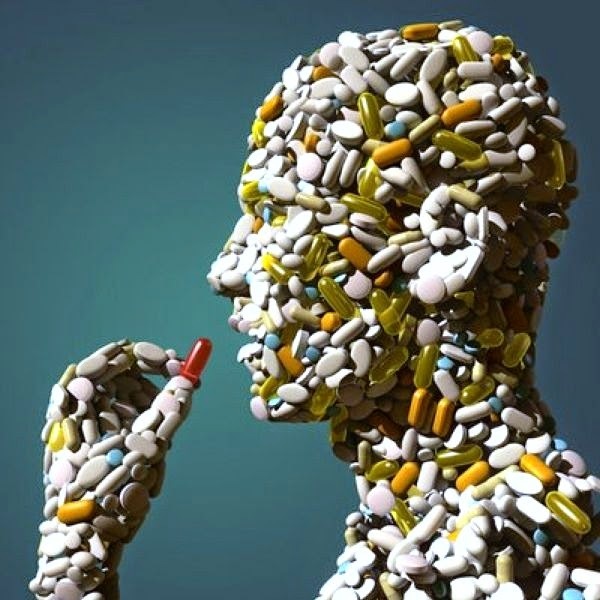 In fact, in a recent blog, I pointed out that emerging independent meta-analyses of pharmaceutical (anti-depressant, psychotropic) drugs show placebo is in effect upwards of 70 per cent. Think about that for a second.What that means is that of those patients taking SSRIs for example (anti-depressants), up to 70% or more might be responding to treatment without any actual outside chemical involvement! McGill professor Amir Raz recently conducted a survey where 65% of psychiatrists reported under-dosing their patients. In other words, patients were responding to treatment as if they were getting a prescribed dose of a drug, whereas instead of, say 20mg dosage of Prozac, the psychiatrist was only actually giving them 10mg pills. This points to what is called ‘top-down’ regulation of our system (as opposed to ‘bottom up,’ which implies that if you treat the body with chemicals, the mind will respond with a correlating psychological improvement. More recently, investigative research is further revealing that anti-depressants such as SSRIs can actually inhibit serotonin production in the body, that they don't work on any definitive 'mechanism of action,' and that the prevalent idea that depression is caused (or even diagnosed) by low seratonin levels is not fuller supported by conclusive research evidence. In simpler terms, apart from organic pathology (physical defects, masses, etc), the field of psychiatry does not base any mental disorder on etiology (origin of disease), let alone depression; correlation is not causation. So what does this mean? Am I suggesting that one can ‘think’ their way into/out of depression? Actually, to some extent, yes. But that’s for another article. What I am addressing is that the psyche and the body are an interdependent system. Emotional awareness (and the experience of ‘mood’) are a function of how the oldest and most basic regulators of our brain respond to what is going on in the system as a whole. We have inherited a 30,000 year old brain that is skewed for negativity. In other words, we have evolved and adapted by automatically scanning our world for danger–mostly through our five peripheral senses. However, feelings are derived from raw information fed to the brain/limbic system from a small area called the periaquaductal grey–which sits atop the brain stem (lizard brain). Neuroscientists have established that this primary organ defines consciousness in all organisms. What sets humans apart say, from chimpanzees (with whom we share 97% of the same DNA), is our pronounced frontal cortex, which regulates rational/executive function. But that tiny matchstick like organ atop our lizard brain is what signifies whether we are ‘ok’ or not. The bigger problem, however, is that the brain, at its sensory input level, doesn’t distinguish between past, present or future, real or perceived threats. This creates havoc with our (lack of) conscious, rational response. So yes, low serotonin levels or high cortisol (stress) levels in our system can signal us to take action (’seeking’ behaviour). But these drives to seeking behaviour may need more rationalconsideration (i.e., do i need serotonin in the form of a cookie? Or maybe a hug, or more importantly, re-assessing a boundary?). To make matters worse, often these triggers are the old responses based on ’stuck’ patterning from childhood or unresolved events in our past. Our system is triggered into the same neuro-hormonal response, and in the case of chronic disorders like anxiety and depression, this elicits a chronic response: hypoarousal (depression; trying to feel ‘less’) and hyperarousal (feeling too much, anxiety disorders). Recent research from the prestigious peer-reviewed journal The Lancet, for example, points to how childhood trauma is correlated with the onset and history of bipolar disorder. Meanwhile, ground-breaking research from UBC shows that parental stress can have a genetic effect on children. Of course, all of this still approaches the issue from a psycho-pathological purview. And while the mind/body approach is supported by evidence-based research, there is an even bigger perspective: that which speaks to the tagline of this blog–spiritual psychology. Our evolutionary design functions to protect us from danger. But there is a cost. Our very highly tuned psyche/nervous system is still dependent on the threat/response dynamic. We seek pleasure and avoid distress. And that has been critical from an evolutionary standpoint. The problem is, and the contemplative tradition of Buddhism and its exquisite science of the mind shows us, is that if our relationship to reality is only based on seeking pleasure and averting pain, it sets us up to swing between those polarities of experience, caught in a constant kind of ‘over-steering’ and correcting of course. This, really, is the basis for our suffering. And Buddhism, so simply and adroitly, suggests that this inherent disorder is directly treatable from within, simply by virtue of what cognitive neuroscience deems ‘meta-awareness’ (or mindfulness). By doing a kind of ‘exposure therapy’ with our own thought/emotional reactions and patterns, via meditation and self-reflection, we can down-regulate the symptoms that swing us out of natural equilibrium (calm presence, openness, alertness). And in turn, brain research is showing us more and more, the activity of this kind of mindful self-regulation strengthens cortical activity and actualmass/density in the pre-frontal regions (associated with more complex, rational, compassionate thought, and impulse control).